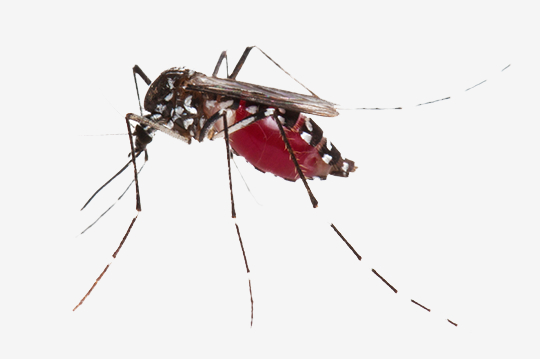 Mosquito Control Cartersville, GA | Bug-Off Exterminators, Inc.
To successfully get rid of mosquitoes, the treatment should address the life cycle: egg, larva, pupa, and adult. 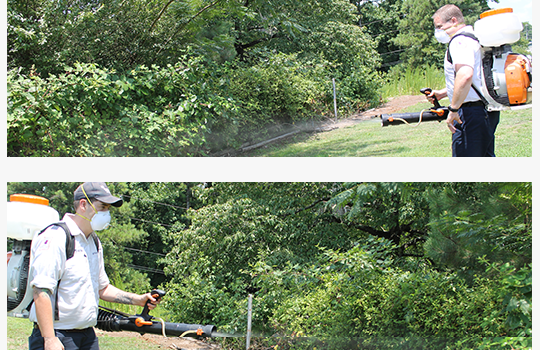 A residual mosquito killer that is dispersed near your property's shrubs, trees, plants, and shaded places is the best approach for mosquito control. Pesticides that specifically target larvae in breeding areas are very effective at destroying them prior to their hatch date. By installing mosquito traps, the female lays her eggs in treated water and this prevents their metamorphosis causing them to die before becoming adult mosquitoes. Other control techniques like weed-eating to reduce the number of mosquito hangouts and removing any standing pools of water to discourage breeding are crucial too. Our mosquito management experts are registered to treat your property for mosquitoes and other pests on a regular basis. With their knowledge and experience with treating residences and commercial structures, they've got all the tools and resources required to destroy the mosquito horde that's plaguing your lot. They will assist you in developing a regular mosquito control plan that will restore the comfort and usability of your yard. Summer's long, bright daylight hours offer you a perfect opportunity to engage in lots of exciting outdoor interests, like kayaking, hiking, playing team sports, and cooking out. Dining outdoors is a terrific chance for you and your family/guests to relish summer's brief nights and chill out together - unless you find yourself besieged by a bloodthirsty swarm of mosquitoes. Mosquitoes flourish in hot summer weather and love to breed around still pools of water. If left to their own devices, their populations will expand and wreck your enjoyment of your yard. To reclaim the rightful ownership of your property and prevent mosquitoes from returning, you may want to consider contacting a mosquito exterminator forCartersville, Georgia. A standard service call involves an expert examining your lot to discover any hidden mosquito breeding grounds. Regular mosquito treatments work to minimize mosquito populations and generate new strategies for extending your yard's defense. An essential component of this system is eliminating water reservoirs, such as bins or other receptacles, to destroy any eggs before they hatch. Water displays and locations that tend to accumulate water ought to be cleaned and assessed as well. With the installation of mosquito traps, the female mosquito is attracted to laying eggs in a controlled water source. The trap contains an IGR (insect growth regulator) that will prevent the eggs from becoming adult mosquitoes. Your tech can also apply a mist to spots where mosquitoes congregate. Normal lawn grass does not get sprayed, and the mosquito killer will not bother your plants and flowers. The tech will inspect your property to treat places with trees and bushes. It's best to have this procedure carried out on a monthly basis, as summer's rain showers slowly degrade the pesticide's strength. Don't allow mosquitoes to keep you indoors all summer - get in touch with us the minute you feel the annoying nips of these flying pests. Our team of expert pest control specialists is well-equipped to alleviate your mosquito woes and restore the sanctity of your yard this summer.